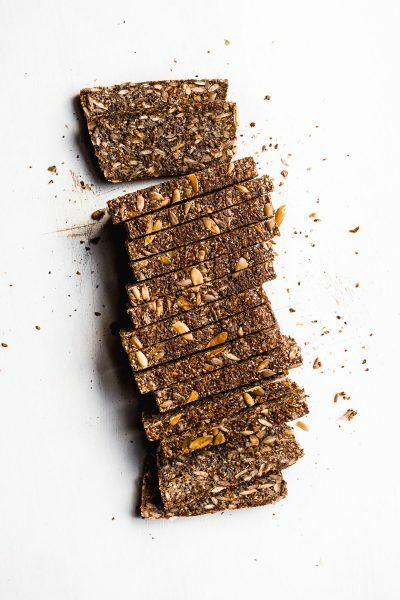 Hearty keto bread made entirely of seeds. Free of gluten, grains, nuts, dairy, eggs, soy and sugar. Full of fiber, phytonutrients and healthy fat. 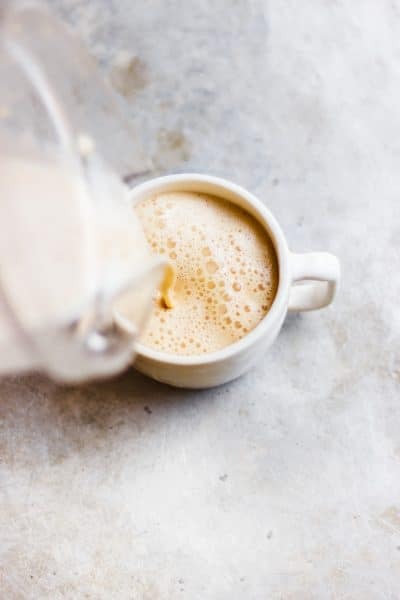 A bulletproof tea latte powered with MCT oil for energy and pink salt for electrolytes. A bulletproof tea recipe for a healthy brain and body. Smoky butternut squash sauce that's vegan and gluten-free. A vegan butternut squash sauce to put on all your favorite fall foods. 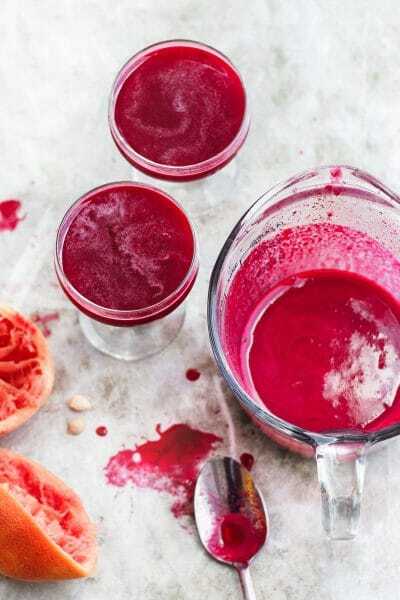 A lightly sweet and spicy pink drink cocktail that is infused with fresh beet and grapefruit juice. An unexpected but super delicious combination. 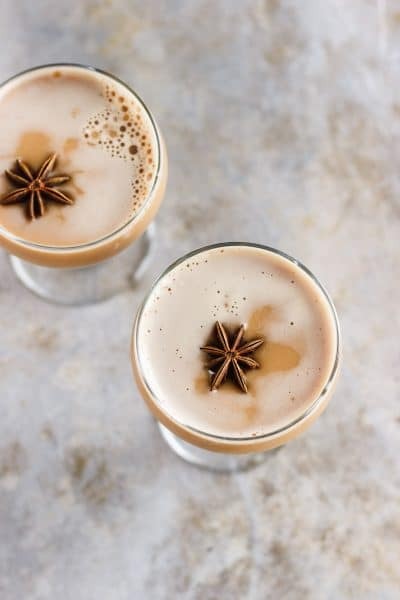 A dirty chai martini naturally sweetened with maple and balanced with a pinch of pink Himalayan salt. Made creamy with almond milk for a vegan cocktail. Sweet tea sangria lightly spiced with cinnamon and flavored with bright notes of pomegranate and citrus. 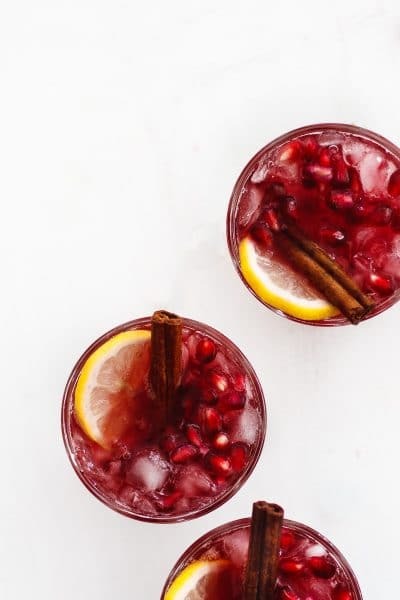 A four ingredient, beautiful and festive sangria. This post is sponsored by Milo’s Tea. Super Easy Macarons with Low-Sugar Blueberry Filling and a giveaway! Super easy macaron recipe that anyone can make in two simple steps. These macarons are filled with a low-sugar blueberry filling infused with beets. Three-ingredient, coconut oil and raw cacao fat bombs. 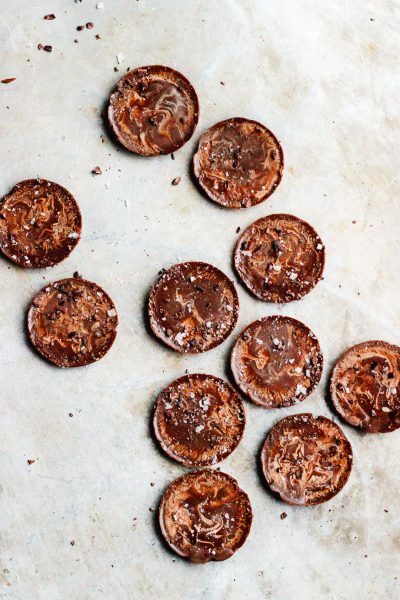 Sweetened with stevia and layered with cacao nibs and flake salt. A filling vegan and keto snack recipe. Vegan, keto-friendly fat bombs made with coconut oil and cacao nibs. Raw Cheesecake with Zesty Cashew Crust + Salted Cranberry Sauce + a video! Raw cheesecake with a zesty cashew crust and salted cranberry sauce. A gluten-free, vegan raw cheesecake that is a crowd-pleasing dessert. Vegan, raw cheesecake with a zesty cashew crust and salted cranberry sauce. A low-sugar, high-protein, chocolate peach milkshake topped with salty peaches and cacao nibs. A summery, healthy, three-ingredient milkshake. A low-sugar, chocolate peach milkshake. Frozen cherry and coconut slushie topped with cola and coconut cream. A fast and easy, summery sweet treat. A vegan and sugar-free cherry coconut slushie. Sugar-free, vegan cherry cola coconut slushie. A smooth, creamy coconut mango milkshake made from coconut cream and naturally vegan. Infused with chamomile tea and drizzled with honey. 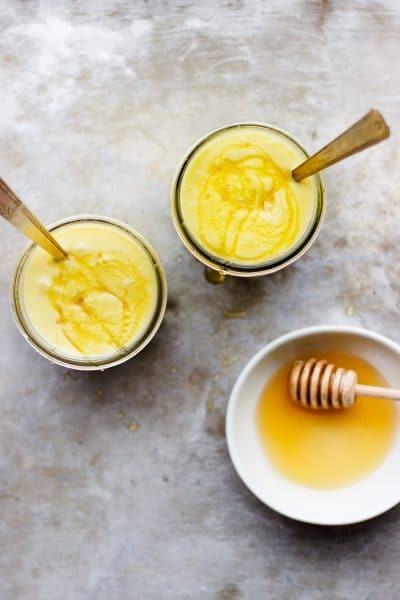 Vegan, creamy coconut mango milkshake with honey and chamomile. Creamy vegan risotto with sautéed spring vegetables. 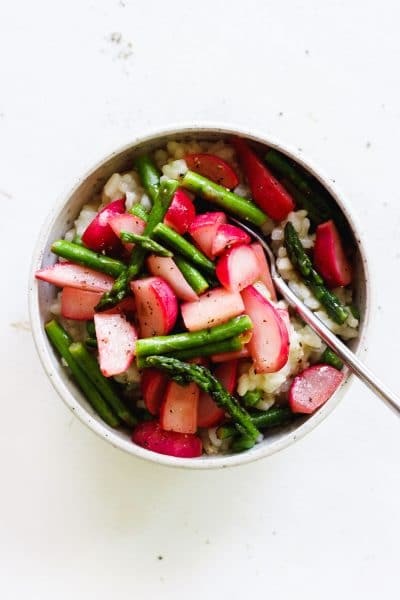 A bed of creamy rice with lemony pepper peas, asparagus and radishes. Vegetarian sheet pan fajitas that are powered by colorful bell peppers and chickpeas. A gluten-free, sheet pan meal that is ready in under thirty minutes. Easy, quick, vegan stewed zucchini in fresh tomato sauce with white beans and kale. A hearty, healthy summer meal in under twenty minutes. A fresh zucchini recipe for summer. Easy, stewed zucchini in fresh tomato sauce. 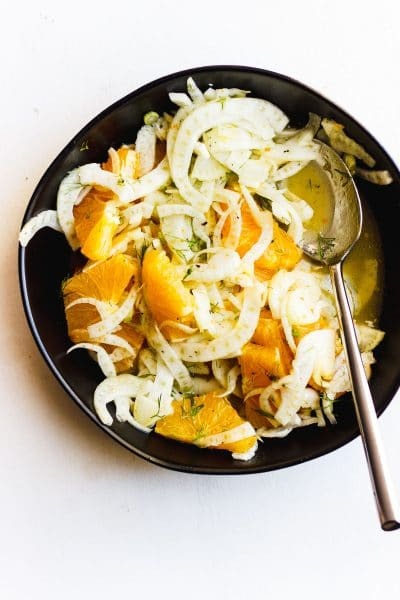 A simple winter salad of shaved fennel and citrus dressed in a bright orange vinaigrette. A stunning, crunchy, savory fennel salad. A summer salad with heirloom tomatoes, peaches and corn smothered in a vegan, super easy creamy basil sauce. A summer tomato peach basil salad for everyone. Vegan, creamy basil sauce for a tomato peach corn salad. A broccoli stem slaw with snap peas and red cabbage and an herby basil cilantro aioli. 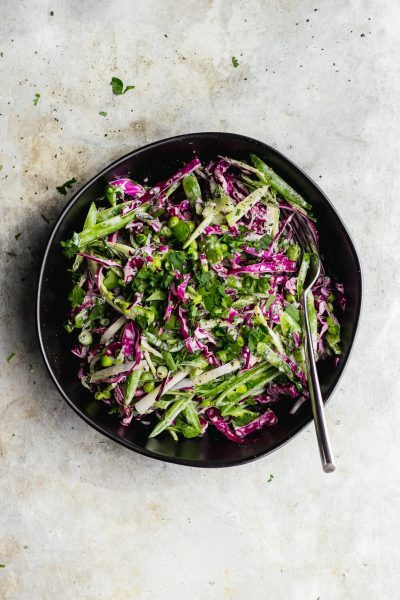 A vegan, gluten-free creamy broccoli stem slaw recipe. A creamy, herbaceous broccoli stem slaw. 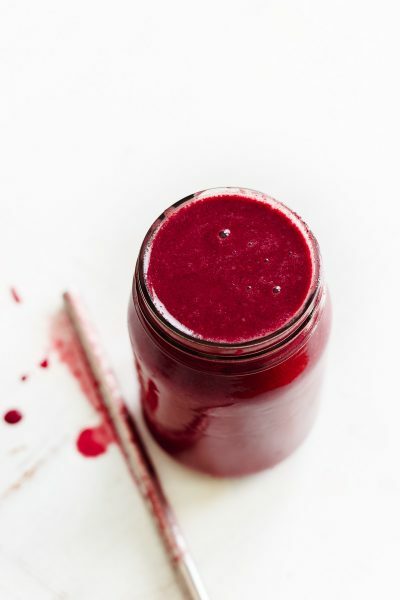 A super basic berry superfood smoothie made with pantry staples. A simple, affordable and approachable way to get superfoods into your life. 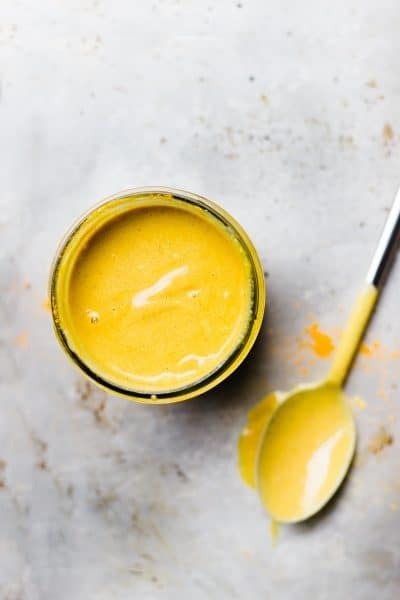 A golden mango smoothie that's super creamy with raw cashews, and spiced with turmeric, and cinnamon. And my Clean Program review. A Fall Green Smoothie + my favorite smoothie formula! A simple, go-to fall green smoothie without sugar or dairy and with subtle autumnal flavors that can be enjoyed as an easy breakfast, snack or meal. My favorite fall green smoothie. A vegan, creamy carrot ginger soup made with raw cashews. 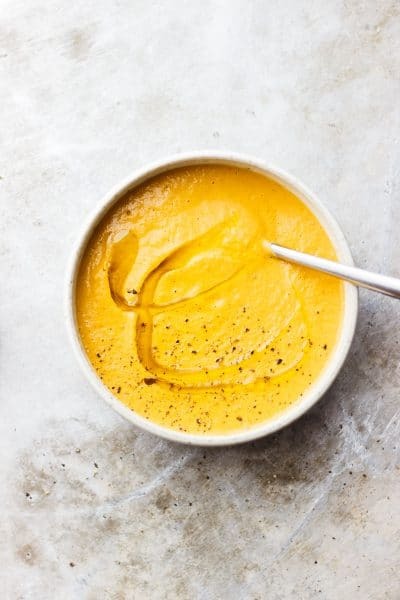 A naturally gluten-free carrot soup made with a pantry ingredients and topped with black pepper. Vegan chili made in twenty minutes with pantry items and lots of flavor. 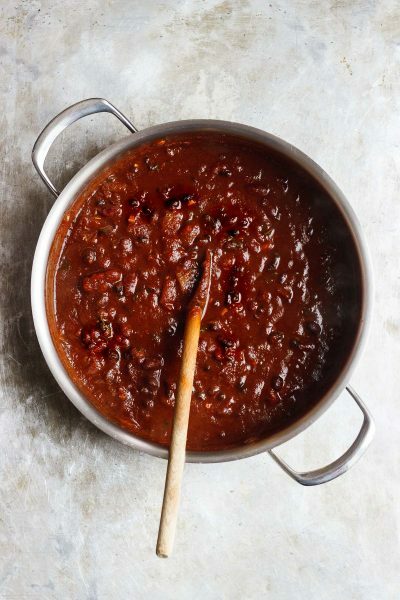 This recipe uses black and kidney beans, but you can use what you have on hand. 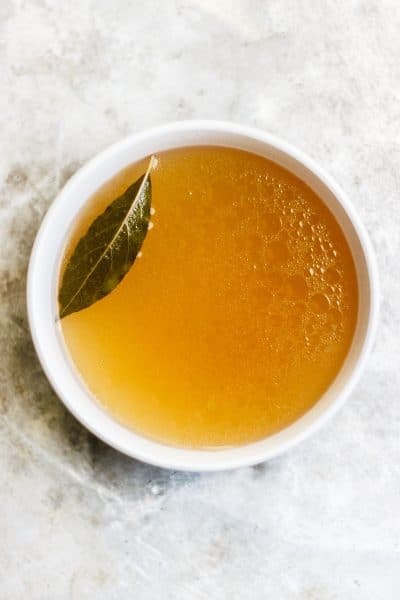 A healing, soothing, restorative vegetable broth flavored with bay leaf and peppercorn. A vegan, nutrient-dense sipping broth or for using in recipes. 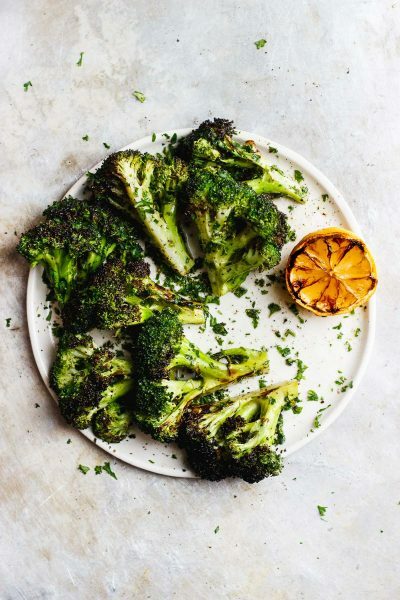 Grilled broccoli that is tossed in a zesty, charred lemon and parsley sauce. 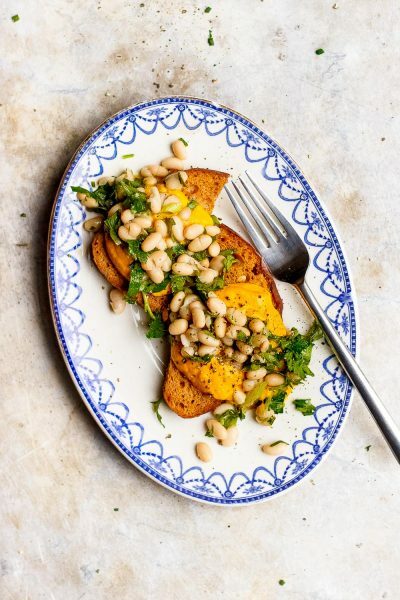 A vegan grilled side dish for anytime of year. A super easy kohlrabi recipe for the whole family. 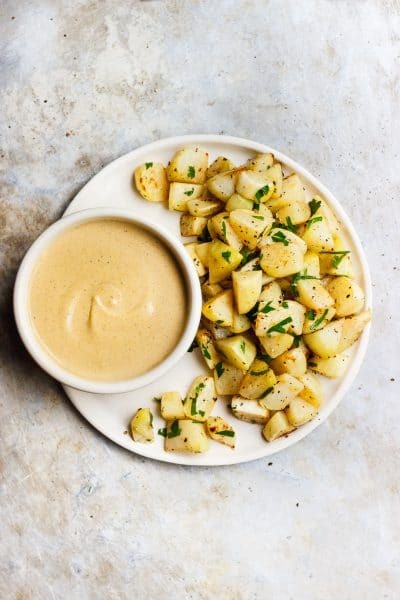 Simple roasted kohlrabi served with a vegan and dairy-free, creamy Old Bay Seasoning onion dip. Roasted kohlrabi with a dairy-free, vegan creamy old bay onion dip. 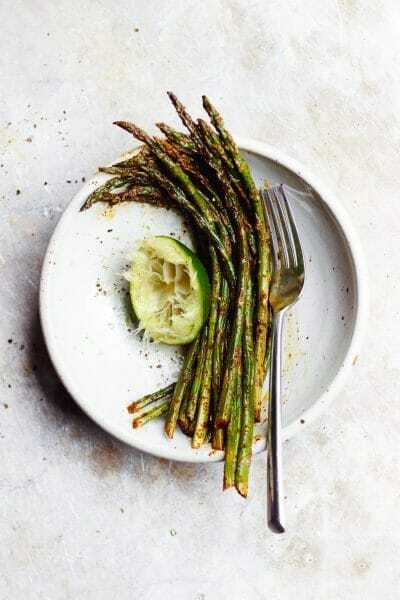 This chili lime roasted asparagus is a flavor-packed, simple, easy side dish. A naturally vegan and gluten-free asparagus recipe ready in twenty minutes.